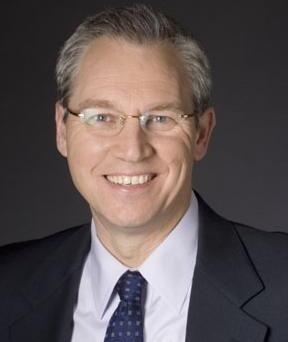 John Bordeleau Vice President, Sales and Marketing GoGo Cast Inc.
CRANSTON, R.I .- July 14, 2010 – GoGo Cast Inc., a global leader in Dynamic Digital Out of Home (Dooh) media networks, announced today that John Bordeleau, has been hired as Vice President of Sales and Marketing. John Bordeleau, a nationally recognized digital media sales expert, comes to GoGo Cast with over 30 years of broad media sales experience in newspaper, radio, cable and broadcast television sales industries. Mr. Bordeleau was previously Divisional Vice President for Comcast Spotlight, the Advertising Sales unit of Comcast Corporation. Comcast Corporation is the nation’s leading provider of entertainment, information and communication products and services. “As GoGo Cast’s business broadens locally we realize we needed an operational leader who intimately knows the GoGo Cast’s business model and product architecture,” said David Paolo, CEO and President of Cranston based GoGo Cast. “With John’s proven track record of successfully building multi-product local, regional and national digital media sales organizations and GoGo Cast’s already seasoned executive team we look forward to bringing our unique communications opportunity to more of New England businesses,” concluded Paolo. “I am thrilled to be joining a company that is truly changing the way people of all ages consume media. Advertisers and media content providers now have a medium to reach active consumers on the go.” said Mr. Bordeleau. GoGo Cast, Inc. is an on-demand, out-of-home digital media company that enables customers to directly communicate with their clientele across vertical markets. Using an aggregated network of digital media and audience-targeted content, GoGo Cast delivers direct-to-consumer advertising that enables retailers, brands, manufactures, advertisers and promoters to reach highly targeted audiences, influence brand choice and receive measurable results. With GoGo Cast’s content network and commercial grade digital screens; advertisers can deliver messages that influence consumer buying decisions at the right place, at the right time.